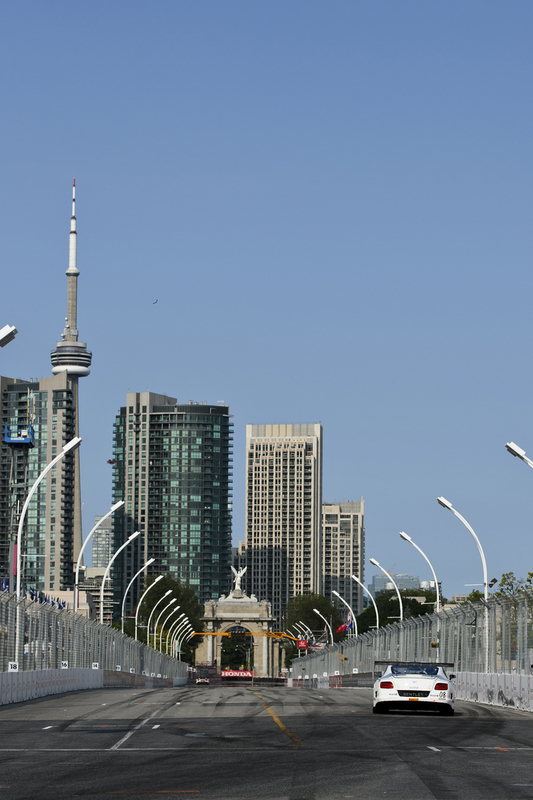 The Toronto Indy circuit track. 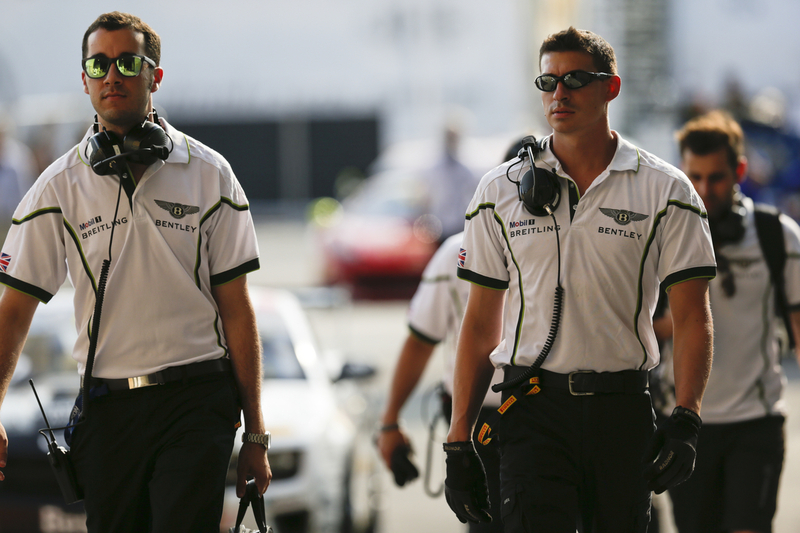 Members of Dyson Racing Team Bentley. 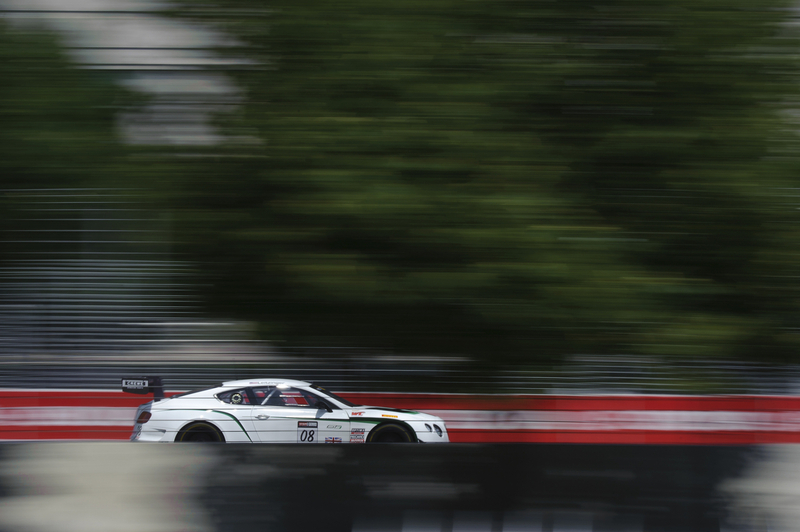 The Bentley Continental GT3 weighs less than 1,300 kilograms, generating a tangible increase in speed. 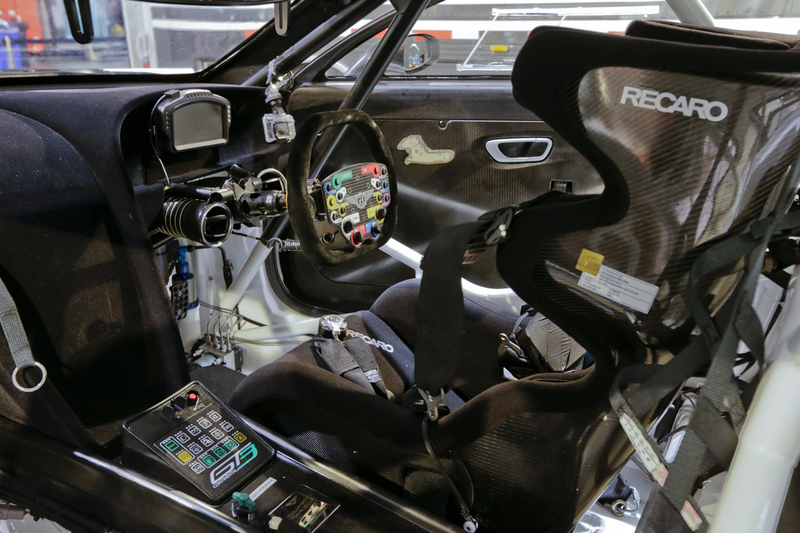 The interior of the Bentley Continental GT3. Dyson Racing Team Bentley driver Butch Leitzinger, #08. 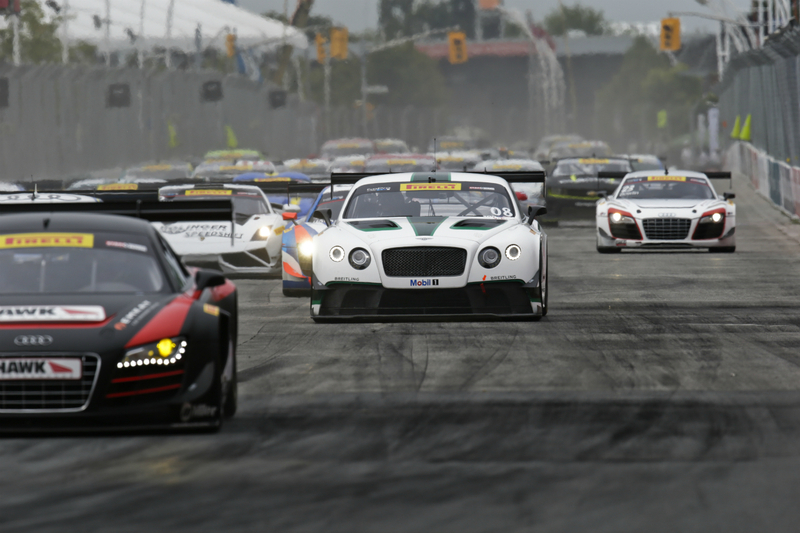 The recent Toronto Honda Indy round of the Pirelli World Challenge Series (held July 18–20). 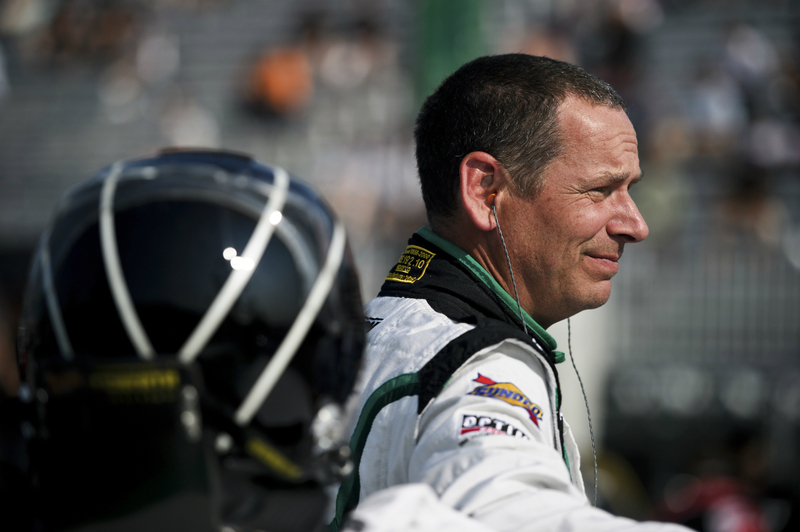 Dyson Racing Team Bentley driver Butch Leitzinger prepares for his race. When one of the staunchest car brands in the business announced a return to racing in 2012, there was huge interest, tremendous excitement, and more than a little skepticism. The starting point for the Bentley racing renaissance would be the Continental GT coupe—a fantastic car, to be sure, but not one that’s often driven in anger around the average racetrack. 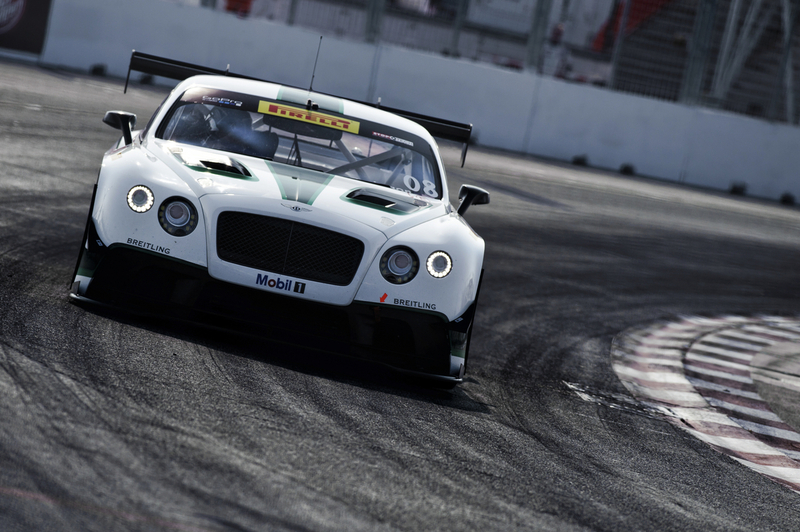 Yet the race version of the car, the Bentley Continental GT3, has proven to be very quick in its initial forays, something that is largely unheard of in the ultra-competitive world of international GT competition. This classification features a starting grid that reads like a car enthusiast’s dream fleet—the Audi R8, Ferrari 458, Lamborghini Gallardo, McLaren 12C, Mercedes-Benz SLR, Nissan GT-R, and Porsche 911 GT3 are all right there. So far, the Bentley, which was developed by the manufacturer in partnership with British motorsports company M-Sport, has proven competitive in its first full season in Europe, capturing two wins, one at Silverstone and the other in the prestigious Blancpain Endurance Series. 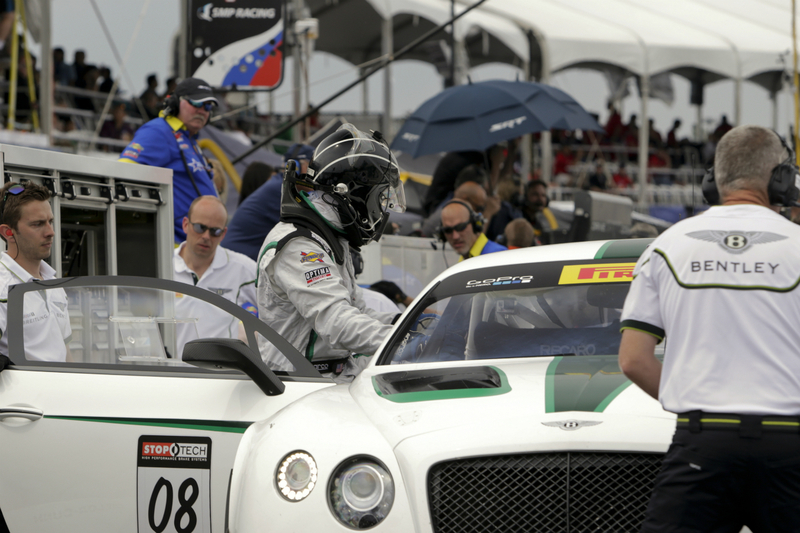 Here in North America, the race effort is even newer—the recent Toronto Honda Indy round of the Pirelli World Challenge Series (held July 18–20) was just the second outing for the Continental GT3 and its team stateside, Dyson Racing Team Bentley. Apart from the typical race conversion process—which in the case of the Bentley involved stripping out all those gorgeous wood, leather, and metal accoutrements—other significant changes involved the drive system, the suspension, and the transmission. While the Continental GT V8 tips the scales at 2,295 kilograms, making the Bentley among the less svelte coupes on the market, the race version weighs less than 1,300 kilograms, a transformation that, all by itself, is enough to generate a tangible increase in speed. This was a necessary step to make the Continental GT3 competitive; the rules also dictated that the twin-turbocharged 4.0-litre V8 be the basis for the race version rather than the W12 version, which was considered too powerful. Additionally, the Continental GT V8 is an all-wheel drive sport touring machine with an eight-speed automatic transmission; the GT3 is a rear-wheel drive car with a six-speed sequential racing gearbox. The suspension system for the race car, too, is a custom design that features four-way adjustable dampers engineered to deal with the bumpier tracks in North America. Both adaptable and promising, the GT3 certainly makes a case for Bentley’s good breeding.